Lifting heavy patients entails great responsibility. Although Viking XL has been specially developed for very heavy patients, it is also suitable for average-sized people. 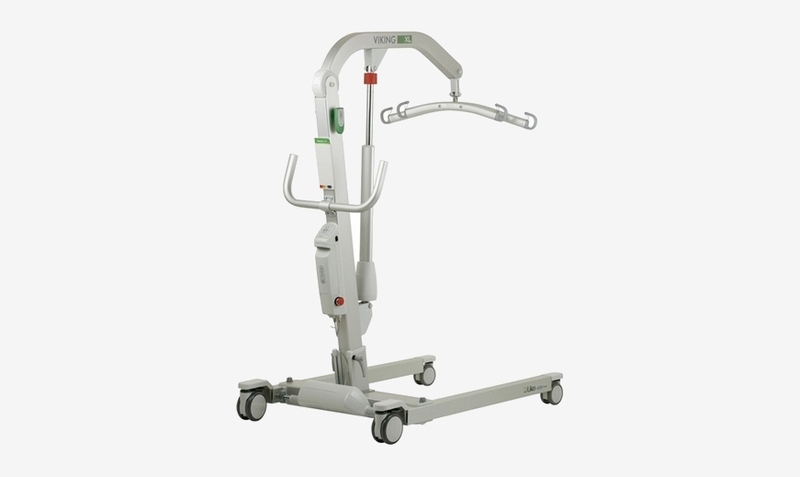 Viking XL is a mobile lift that has been specially developed for lifting heavy patients. With a 300 kg / 47st (660 lbs.) capacity, Viking XL is ideal for most normal lifting situations, even for lifting from the floor. Viking XL is a fully electric mobile lift, i.e., both raising and lowering of the lift arm and width adjustments of the base are done with electric motors. To ensure maximum safety for caregivers and patients, Viking XL is equipped with both mechanical and electrical emergency lowering. 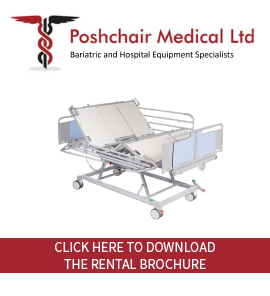 For the caregiver, maneuvering a mobile lift with a heavy patient can be a difficult task. Avoid using Viking XL for transferring very heavy patients; instead, use a wheelchair/hygiene chair for transfers whenever possible. During the actual lifting situation, when the patient is suspended in the sling, it may be easier to move the empty wheelchair to the lift, instead of vice versa. In each case, assess the situation to determine how many caregivers are needed to perform a safe and ergonomically correct lift and transfer. When using the lift, an individually tested sling and other accessories are essential for good function and safety. Equipped with Armrests (accessory), XL is ready for gait training and can be an invaluable aid to rehabilitation, even for extremely heavy patients. Made of aluminium: attractive, strong and environmentally friendly.